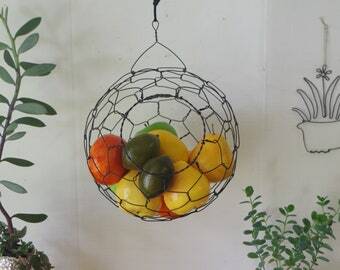 This basket looks a lot like my hanging sphere basket except this one is flat on the back and hangs on the wall. 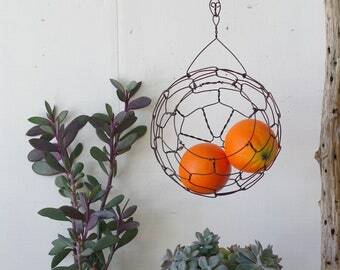 It has a small hanging loop on the top of the basket to hang on a hook or nail. It measures about 10 inches wide and is about 6 inches front to back. 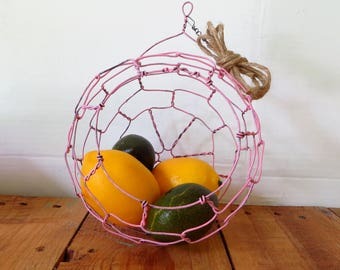 You can add a cloth napkin or kitchen towel to line the basket if you want to store small items that might go through the openings.It is made with annealed steel wire. 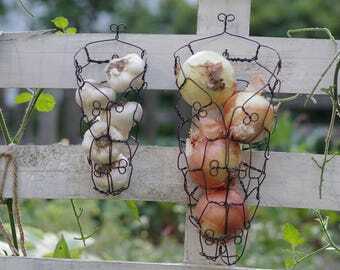 It should be protected from wet or very damp conditions to prevent rust. To clean and protect your basket I recommend wiping with a cloth wet with cooking oil followed by a clean dry cloth every few months or as needed for cleaning.This is done before shipping. I do ship Internationally. Please convo me for a price to where ever you are. 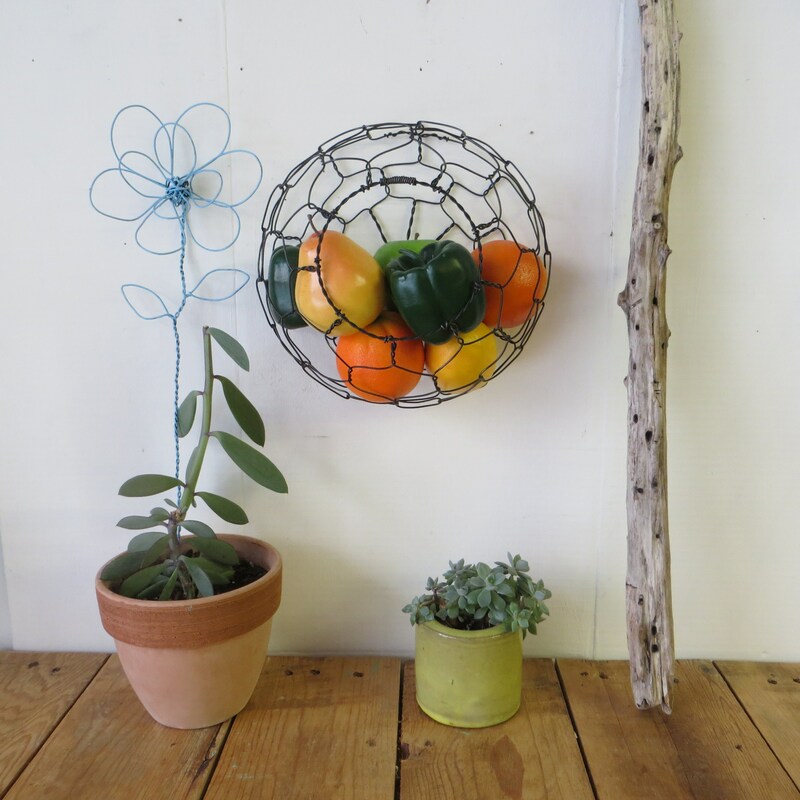 I love the basket. It fit exactly were I wanted it and it is beautifully made. The package arrived quickly and I especially loved the extra touch when I opened the package! Perfect, as always! This is my second purchase. 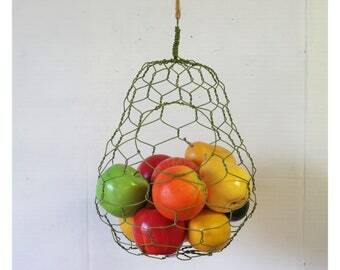 We love to hang these on the wall for fruit to save counter space!